Size of the product: 2" (L) x 20.5" (W). 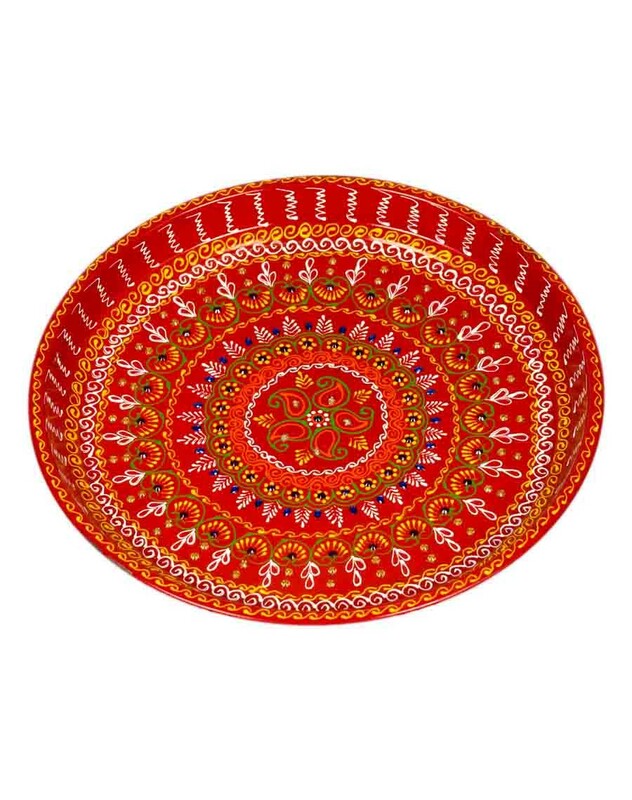 Made from durable and high quality steel, this Pooja dish is crafted with wonderful patterns all around it. The patterns are hand-drawn using oil paints that add an artistic touch to the Pooja dish. 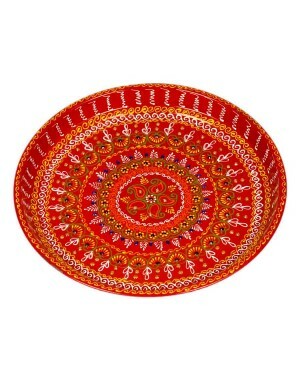 This Pooja dish can be used for any occasions and is a perfect accessory to carry all your Pooja items.